PATNA: The police department in Bihar has dismissed a senior official after he demanded bribe from a Lebanese national Fadi Fadel who strayed into Indian territory by mistake and was taken into custody. 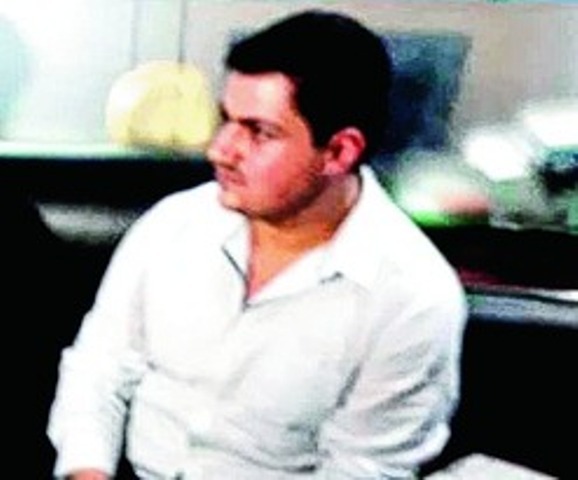 As per reports, the cop in question Vijay Kumar Gupta had even declared Fadi as a “terrorist” and sent him to jail after he failed to cough up Rs1 million as bribe. The victim had to remain in jail for 13 months for no faults of his own. “Gupta not only asked for money to release the Lebanese national but also tortured him during the police custody to pressurize his family members get the bribe money,” deputy inspector general of police, Muzaffarpur, Anil Kumar Singh told the media today. The action was taken against the cop after an internal police inquiry found him guilty of seeking bribe from the foreign national and misusing his power to torture an innocent person. Gupta was posted with the Town police station Sitamarhi district when he arrested the Lebanese national. Authorities said the Lebanese national had come to help the victims of devastating 2014 Nepal quake when he strayed into the Indian territory by mistake and was arrested by the cop in question in July 2016. Some local villagers noticed him loitering along the border in Sitamarhi district which borders Nepal and informed the local police. However, the said cop allegedly declared him as a “terrorist” and sent him to jail after he failed to cough Rs 1 million as bribe. “He (Fadi) had to go to Tanakpur (neighbouring Uttar Pradesh) for extension of his visa but by mistake, he came to Janakpur (in Bihar’s Sitamarhi district) from where he was arrested,” the police official Singh said. He remained in jail for over a year until he was granted bail by the Patna High Court on July 24, last year. However, instead of returning back to his homeland, he decided to stay in India to prove his innocence and also punish the cop which spoiled his image. His fight for justice finally bore fruits earlier this week when the corrupt cop was thrown out of job after all charges against him were proved true. “The police demanded bribe to help me go back, otherwise they’ll send me to jail. They wanted to make trouble for me. They put in more laws from the Indian Penal Code to trouble me,” was how Fadel had told the media after getting bail from the court last year. He added he came to India by mistake but landed in trouble he had never expected so.